ISTANBUL — Prime Minister Recep Tayyip Erdoğan on Friday opened Büyük Mecidiye, commonly known as Ortaköy Mosque, an Istanbul landmark that was closed for three years for restoration. Erdoğan, accompanied by ministers and local administrators, attended the first prayer session in the reopened mosque situated on the European side of the city. Following Friday prayers, the prime minister addressed the crowd attending the opening ceremony. As the crowd shouted "Ayasofya" in reference to the Hagia Sophia mosque currently used as a museum, Erdoğan said, "There is the Sultanahmet [Blue] Mosque next to the Hagia Sophia (Ayasofya) but it remains empty during regular daily prayers. We should fill this mosque not only during congregational prayers but also at other times. You should accomplish this first." Performing religious prayers at the Hagia Sophia, which was converted into a museum in 1935, is prohibited, although numerous groups have recently called for it to be reopened as a mosque. Erdoğan stated that his government was grateful to the Ottoman ancestors and proud of them for building "lasting" monuments. 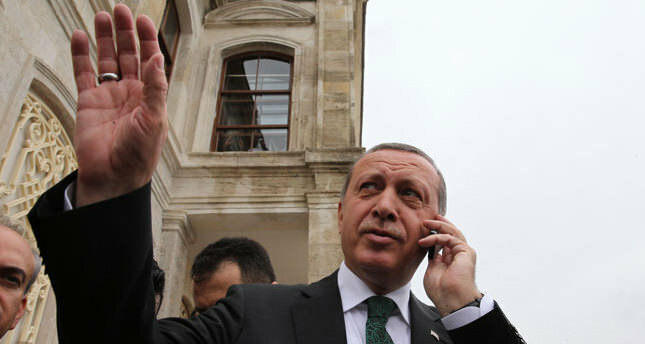 Praising the Armenian architects who built the mosque, Erdoğan said the Ottomans had entrusted the job to "experts." "Ortaköy Mosque has a distinct place among other mosques and we are grateful to everyone involved in its restoration," he added. The mosque's architects were two Ottoman-Armenians, Garabet and his son Nigogayos Balyan, French-educated architects who are known for their prominent influence on late Ottoman architecture. 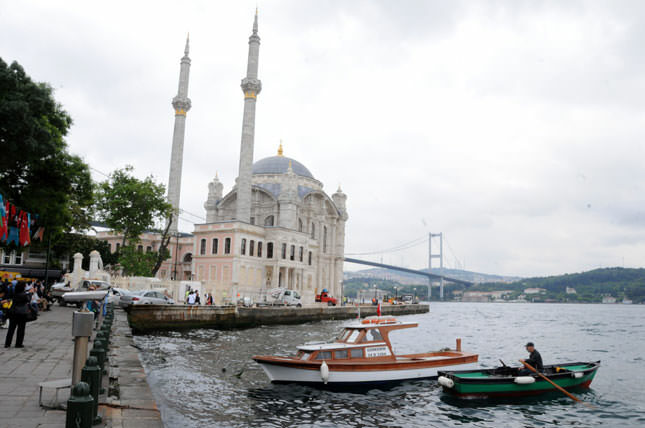 Ortaköy Mosque is located under the European leg of the Bosporus Bridge and has survived several earthquakes and fires since its construction in the 19th century during the rule of Sultan Abdülmecid. This is the fifth time it has undergone restoration in two centuries. Located in the eponymous district of Istanbul, the mosque is known for the pink mosaics in the interior of its dome and its baroque style, which is uncommon in its contemporaries.